When we left the UK, the thing I was most worried about was not having a garden. With a dog and a 2 year old, it seemed like a pretty important thing to have. 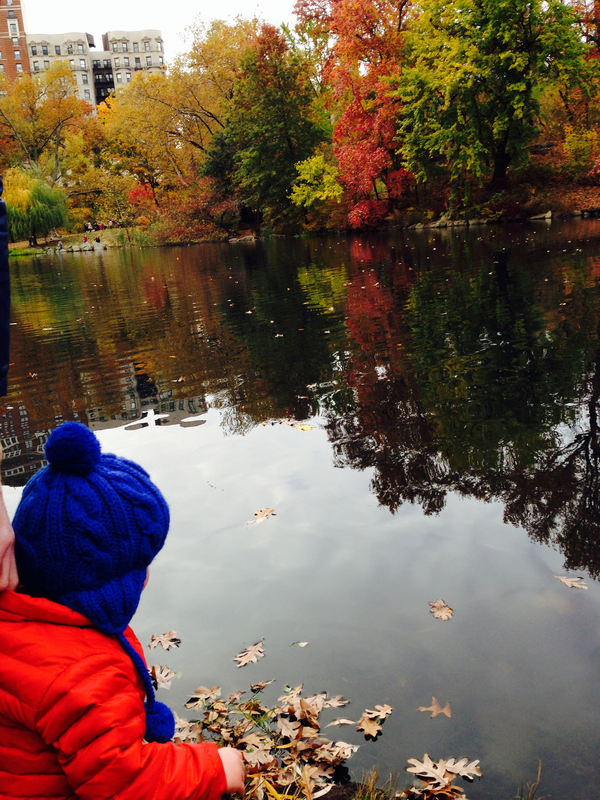 Luckily, we now have a huge, 843-acre back yard… with 21 playgrounds, 2 ice rinks, a zoo, a real live turtle pond, a boat house and so much more…it’s called Central Park. We go there at least once a day – in sunshine, rain, snow, hail, wind… and every day we love it. I recently noticed some great ads in the park which alerted me to the fact that the park relies on donations from the public to keep it looking it’s best. Central Park Conservancy is a non-profit organization that contributes more than 80% of Central Park’s $37.5 million annual budget. So today’s one good thing is a donation to ‘my own back yard’. The best bit is, that from now until December 31st, a group of generous donors will match every dollar donated, up to $250,000. So my $50 donation (which works out at less than 14 cents per visit for us) has been doubled to $100. If you’d like to join me and donate to America’s most visited park, you can do so here. I know my money will be well spent. 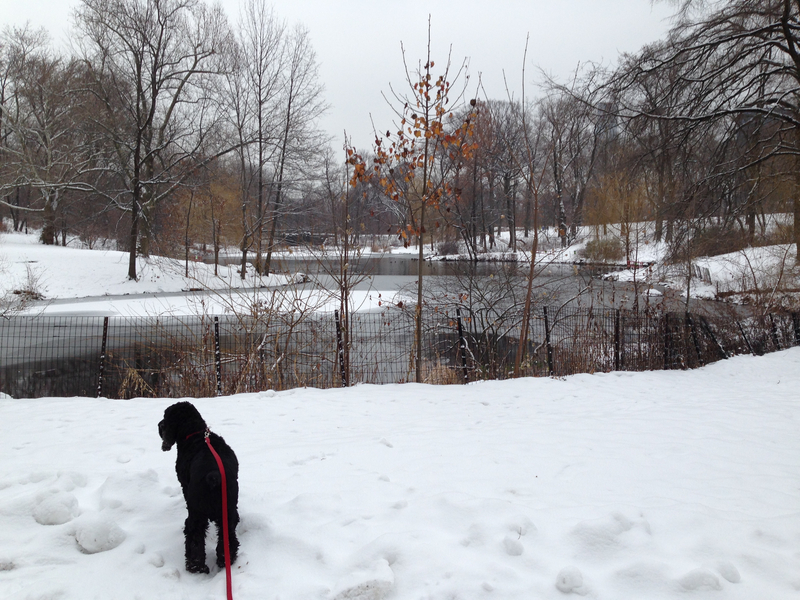 Soon, Conservancy Staff will shovel up to 6.5 million cubic feet of snow from 58 miles of Central Park paths, put down 80,000 pounds of sand to keep the paths safe, and hang 18,000 lights in Harlem Meer for us all to enjoy. 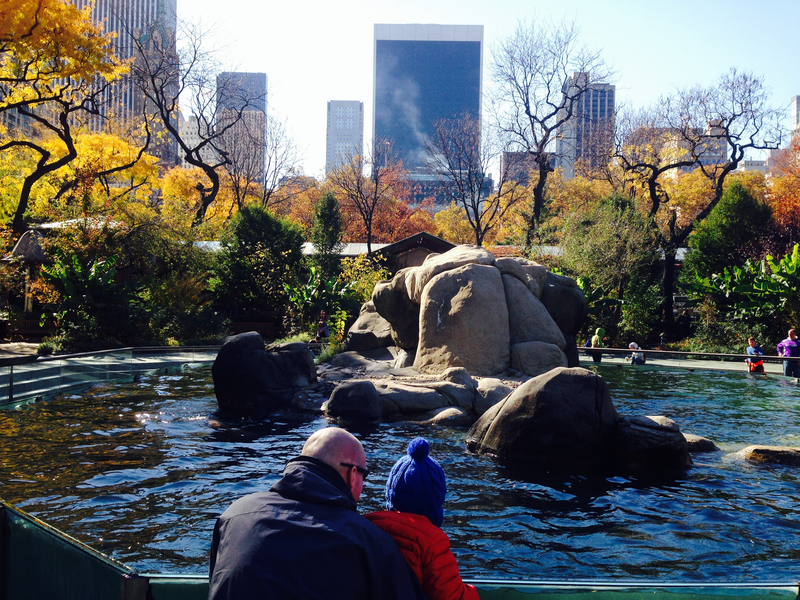 Family fun at the Central Park Zoo. We’re lucky to have such an amazing back yard. It’s important to help keep it that way.